Each year, the staff of PCC's Inscape selects a poet to honor as our Poet of the Year, a poet whose work exemplifies the present moment and an author whose work speaks to the current generation. Richie Hofmann's book is available from Alice James Books. 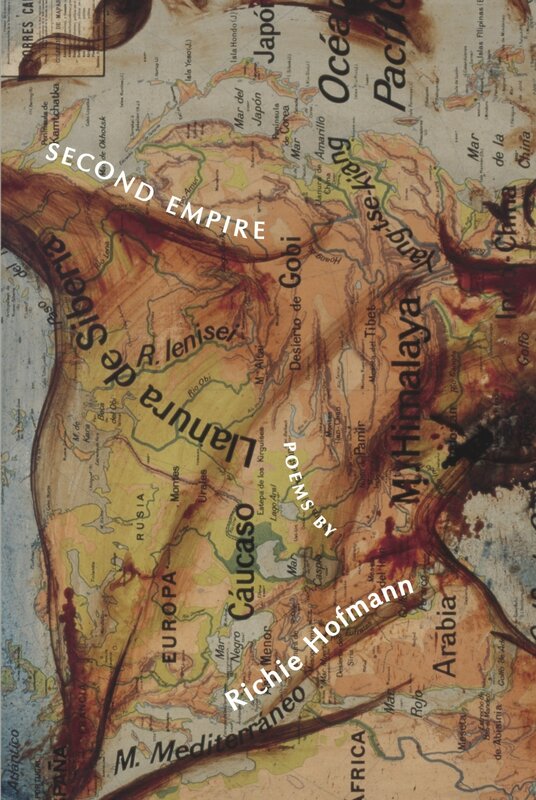 Richie Hofmann is the author of a collection of poems, Second Empire (2015), winner of the 2014 Beatrice Hawley Award. He is the recipient of a Pushcart Prize and a Ruth Lilly Poetry Fellowship from the Poetry Foundation, and his poems appear in the New Yorker, Kenyon Review, the New Republic, Ploughshares, New England Review, the New Criterion, Yale Review, and Poetry. He has been featured in the New York Times Style Magazine, on Poetry Daily, on the Academy of American Poets Poem-a-Day, in the anthology, Best New Poets 2014, and in Poets & Writers Featured Debuts of 2015. He has received the John Ciardi Scholarship from Bread Loaf Writers’ Conference, the Peter Taylor Fellowship from Kenyon Review Writers Workshop, the Tennessee Williams Scholarship from Sewanee Writers’ Conference, a scholarship from the New York State Summer Writers Institute, and the Michael Peich Scholarship from West Chester Poetry Conference. 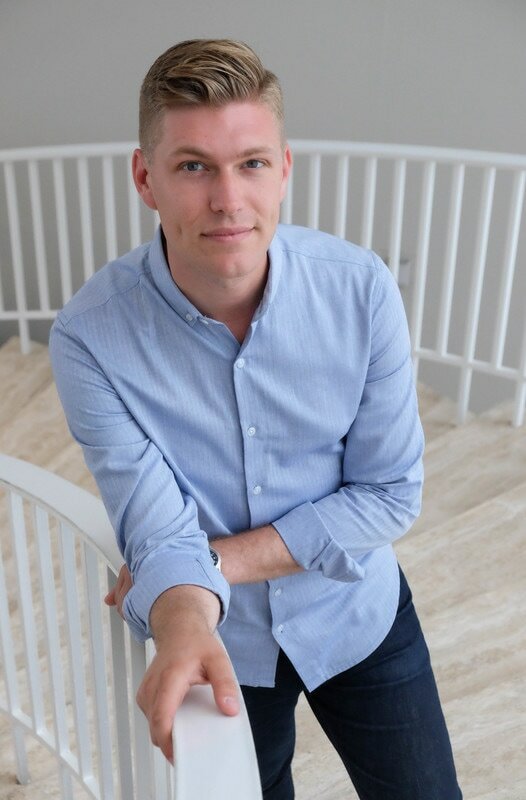 A graduate of the University Professors Program at Boston University and the Johns Hopkins University Writing Seminars MFA program, he is a doctoral candidate at Emory University, where he has held the Creative Writing Fellowship in Poetry. He has also taught summer workshops for the Kenyon Review Young Writers Workshop and for Northwestern University’s Center for Talent Development. With Kara van de Graaf, he founded Lightbox, an online educational resource featuring original interviews with poets and materials for classroom use. Beginning in the fall, he will be a Stegner Fellow in Poetry at Stanford University. Richie and Daisy had conversation over email and Facebook Messenger in April and May of 2017. Daisy: What are some of your earliest memories that involve poetry or art? Richie: I’ve always loved expressing myself and experiencing other people’s ideas and emotions through art. The performing arts were most important to me growing up. I loved classical music when I was little, and tried my hand(s) at piano and other instruments. Musical theater and singing meant the world to me, and I performed in several musicals a year up through the end of college. I think it’s through theater that I became interested in poetry. I remember reading Murder in the Cathedral by T. S. Eliot in high school and being fascinated by the way a modern play could be made out of spoken poetry. Daisy: I’d love to hear about your artistic process when writing a new poem. Richie: I become weird and obsessive about shaping every line—it’s hard for me to move on without getting it right. I like to think of each line in a poem as its own miniature poem; I want it to have balance, integrity, something striking intellectually or imagistically, even if it’s a short line of just a few words. I also love to chisel away and cut things from a poem draft. So it’s usually better for me to start with more—like a sculptor’s big block of marble—and to chisel away at it until a fiercer, leaner poem takes shape. Daisy: You are such an inspiration to young writers everywhere. Who inspires or has inspired you to write poetry? Richie: Thank you, Daisy! Things that inspire me: Looking at art. Falling in love. Walking through busy cities and historic places. People that inspire me: My teachers, who encouraged and challenged me. And now, my students, who teach me. Daisy: When first introduced to Second Empire, I was absolutely mesmerized by your work. One of my favorite pieces was "Abendlied" A simple and powerful message I interpreted to be about society, and the acceptance of the LGBTQA+ community. Where did the idea for this poem come from? Richie: Thank you so much, Daisy! I love your interpretation of the poem, and I think it’s right on. In the poem, I wanted to contrast the stillness of the imagined city with all the noise and violence of the imagined city, so that the poem would feel like there was all of this loud activity trapped within the silence of the place. The title translates as “Evening Song,” and I stole it from a choral piece by Josef Rheinberger. Daisy: What period of your life do you find you write about most often? Richie: I would say I usually write about the more-or-less present moment of my life—at least that was true when I was working on Second Empire. My manuscript for my next poetry collection explores my childhood and my family much more than the first book does. But at the same time, it’s writing a lot more about other people’s lives, too—real and imaginary people whose voices I try to inhabit. Daisy: I’m really interested in the element of surprise in writing. Sometimes when I write I think “did I write that?” Or someone will be reading something I wrote and see something that I didn’t intend, but that I end up loving. Do you ever find connections in your poetry that were unintentional? Or does each collection of your work stand on its own? Richie: Yes! I’m always finding out that my poems are smarter and more connected than I am. They often know things about me that I wouldn’t have been able to arrive at without them. Sometimes many months later, even years later, the true meaning of a line or image or poetic statement will reveal itself to you. I’m always telling my students how exciting and scary this is about writing poetry. The moment you feel, “oh, the poem knew something I didn’t or hadn’t yet realized about myself or the world.” Magic. Daisy: I’m taking a poetry class right now and I find it both energizing and exhausting! Does writing energize or exhaust you? Richie: Both, I would say, at different times and in different ways. I feel so energized when the poem is coming together! And I love the feeling of that intensity or purpose and focus. What exhausts me is the solitude! I am really bad at being alone, which is a horrible trait for a poet—so I definitely need at least one lunch break to see a friend when I’m working—that usually gets my energy back up to face the page again. Daisy: It’s really tough to write alone. Have you ever gotten reader's or writer’s block? Richie: Yes, I think possibly right now! But there is so much guilt and shame around this that I want to let go. No one is waiting for your writing. Your poem has to take time for it to emerge and find itself. I want to become more comfortable with silence, with unproductivity, and with patience. Daisy: In our poetry class right now we’re reading a lot of poets who use their poetry practice to weigh in on important issues of the day – politics, human rights, racism, sexism, classism. I’ve learned that poetry is an important and vital art form, and yet, so many young people don’t engage in poetry. In your opinion, what is the future of poetry? Richie: I think that, in these dark, uncertain times politically, we’ll see people turning toward poetry. I don’t know where I’d be, personally, without poetry these days. People need to feel their voice, feel their community, to have an outlet for all that is frustrating and destructive and alienating in the world. I hope poetry continues to open up more to feature more voices of women, people of color, queer writers, and writers with disabilities. For the most part, poetry doesn’t change very much—it’s part of what makes it so remarkable, it’s continuity. We’re dogged and challenged and terrified and excited by many of the same questions and problems that troubled the ancient writers. We find beauty and solace in many of the same things, too. Daisy: I’d love to hear any advice or words of encouragement for aspiring writers/poets like me! Richie: Oh yes! I think the most important thing for young writers to do is to read as much as they can—to hear all the voices in the long conversation of art and literature. This is the way to find your way in—what do I agree with? What troubles me? What isn’t being said or considered? How do I fit in to this vast, diverse picture? I think it’s best to keep that big conversation in mind when you’re writing, and to not get caught up in the day-to-day politics and popularity contests of the contemporary writing world (which can be very humiliating and superficial, sadly). Be true to yourself and the questions that are burning inside you. Also: find a writer-friend you trust. I would be lost completely if it were not for my inner circle of writer-friends—they are really like collaborators, and they have challenged me to grow so much, by reading and critiquing my work, and by letting me read and critique theirs. Rely on each other. It’s essential! This interview also appears in the Inscape Spring 2017 print issue and features 5 poems by Richie Hofmann. Daisy Ojeda is a PCC student who loves writing, and especially the poetry of Richie Hofmann. Daisy's essay on bullying and bullying prevention was published in a textbook for the Stretch-Accelerated Composition Program called Writing & Thinking.